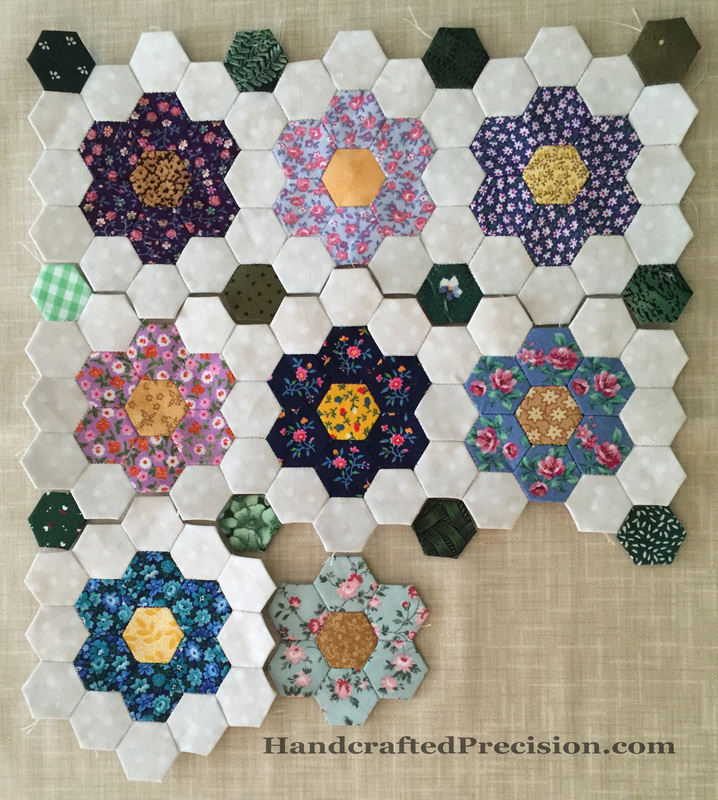 Even though I went in a totally different direction with my “Modern Medallion” quilt from Rachel at Stitched in Color’s Handstitched Class, I wanted to share some of the very inspirational posts that I saw while I was still thinking about completing it as presented. First, Happy Go Lizzie’s flimsy is gorgeous in its constrained, muted color palette, except for those pops of yellow in dark grey. 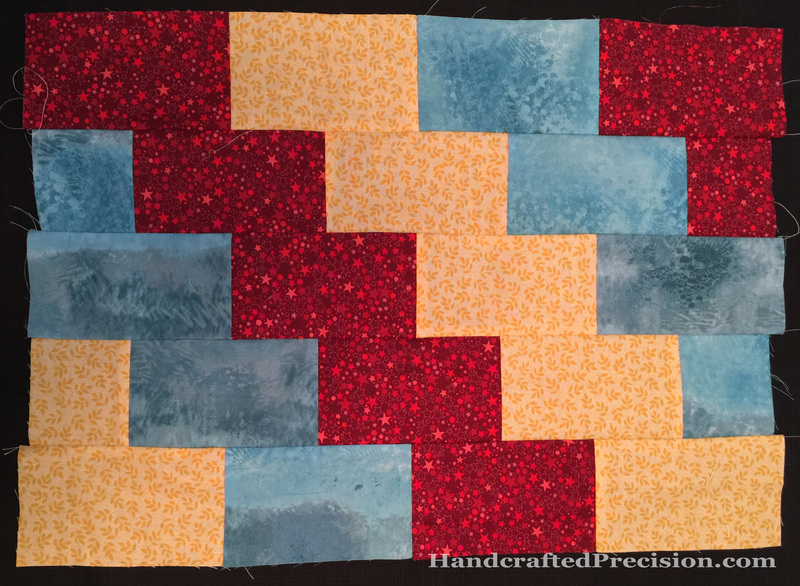 I also really liked her diagonal quilting in the random squares part of the quilt. 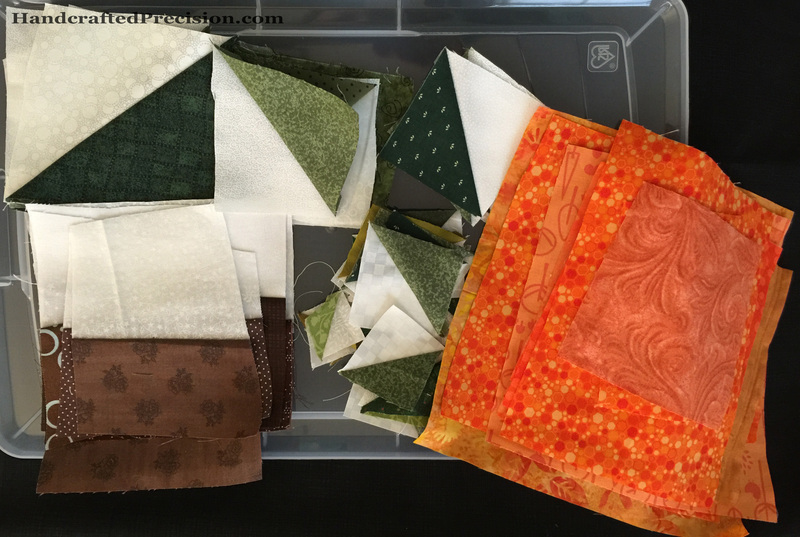 Another detail of diagonal quilting in a fall palette from Ginette. A flimsy full of brights, fussy cutting, and leaves from Kellyfairy, displayed like stained glass. A happy, bold, FINISHED Modern Medallion by Emily. It can be done! Someone finished it and the hand quilting is wonderful. Another muted, constrained palette for the flimsy which stuck with me. This one’s by HNoelMauri. And, since months have passed, Kelly Kruzner’s flimsy in seaglass blues. I LOVE it. I didn’t go in any of these directions, but they all added something to my process. I love that people share their work, especially when it’s so beautiful. 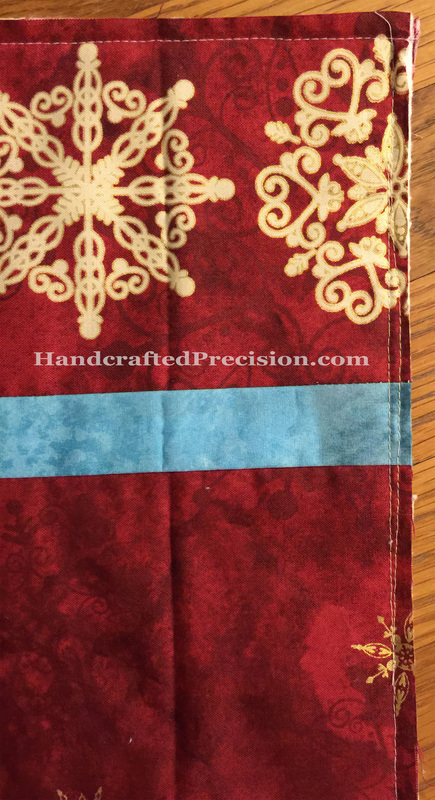 This entry was posted in Hand Sewing, Machine Sewing and tagged Handstitched Class, Inspiration, Modern Medallion on August 13, 2015 by HP. 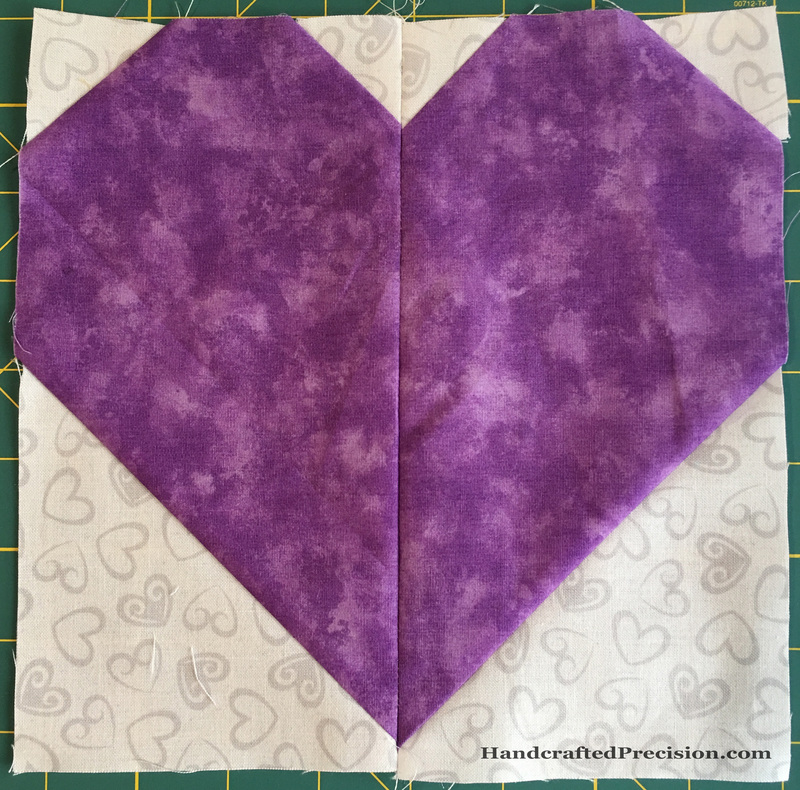 I thought long and hard about my February goal for A Lovely Year of Finishes, and realized that I barely have time for anything in February since I’m working on the Handstitched class quilt. 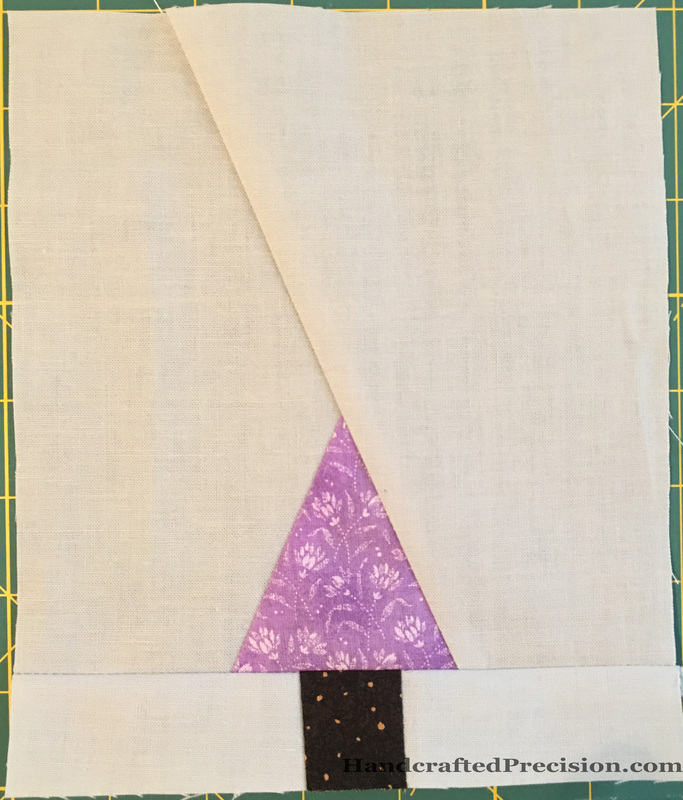 But then I remembered a simple finish which will let me practice straight-line machine quilting. 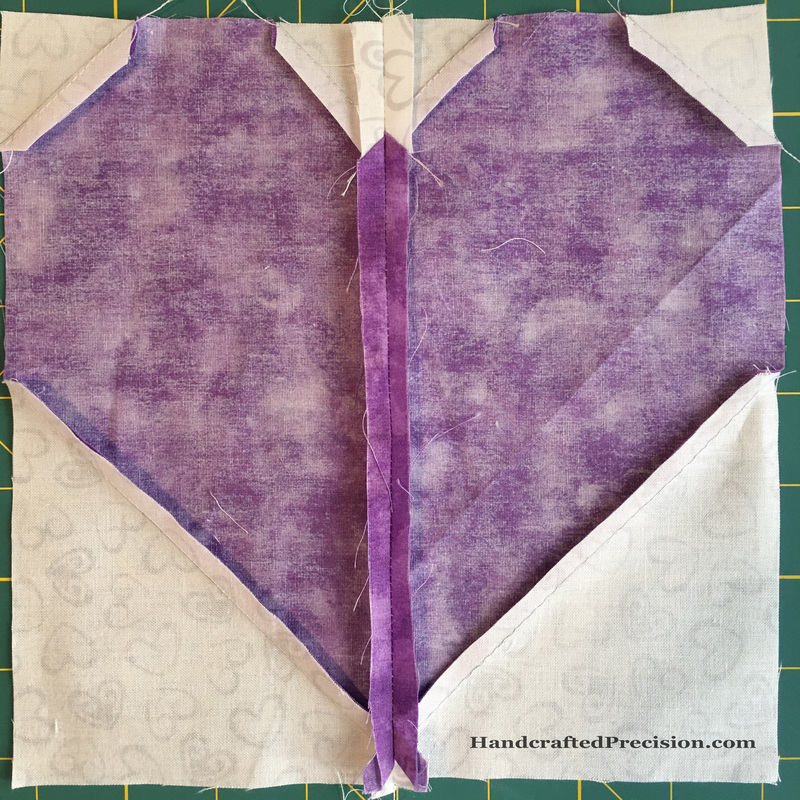 So I’m going to assemble to star on the back background, machine quilt it, and try an all-machine binding. I will need to trim the triangles to all the same size since I used different rulers in class, I should be able to handle that in a month. 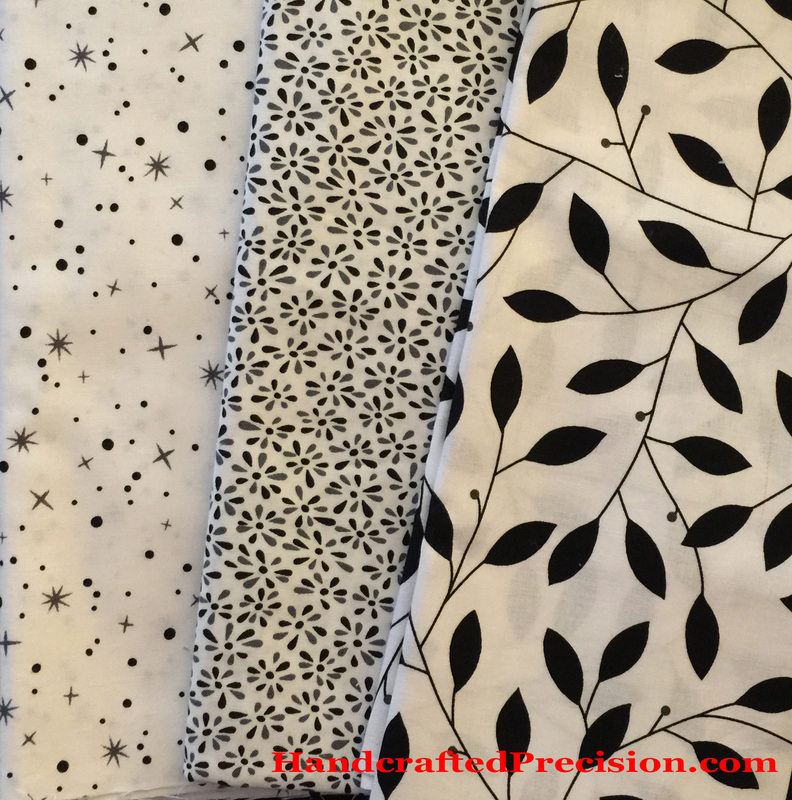 I ordered more of my favorite photo background black, which is Lily’s Garden from the Lily’s Linen line by Patrick Lose for RJR Fabrics. I don’t know why I love it so much, but I just do. 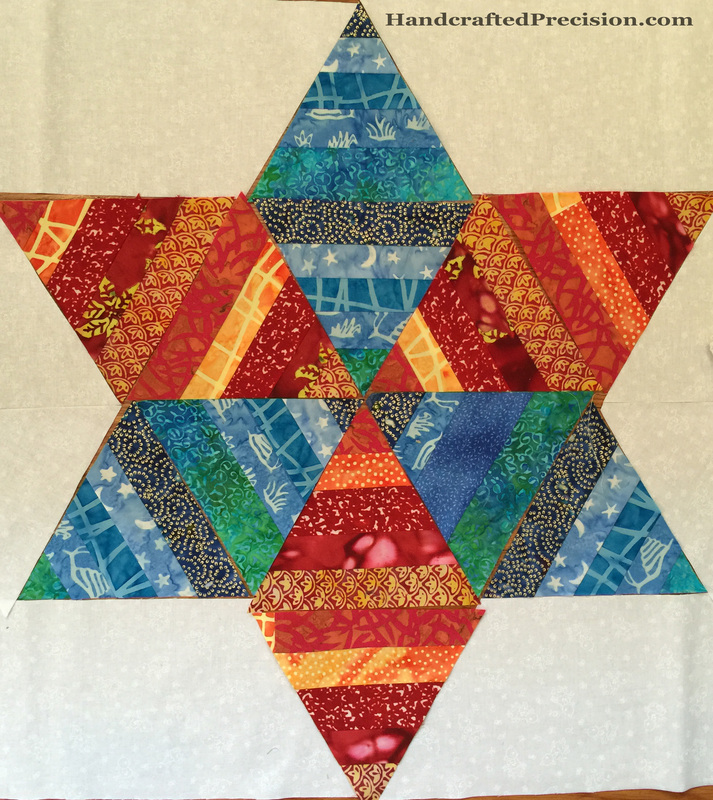 This entry was posted in Machine Sewing and tagged ALYoF, Star Wall Hanging on February 7, 2015 by HP. 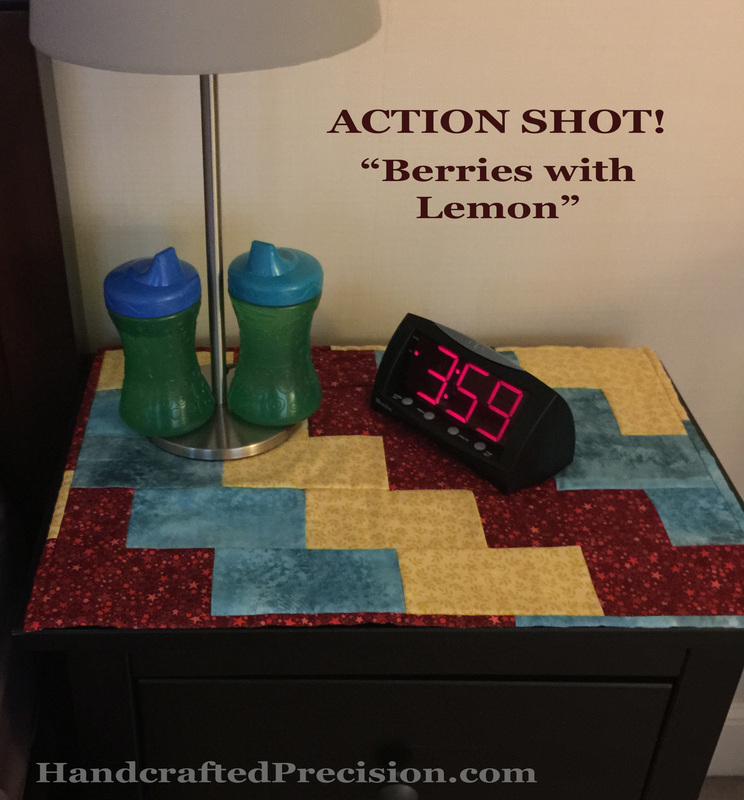 Done and in use, my first A Lovely Year of Finishes finish, the nightstand topper for my son Sec, “Berries with Lemon”! 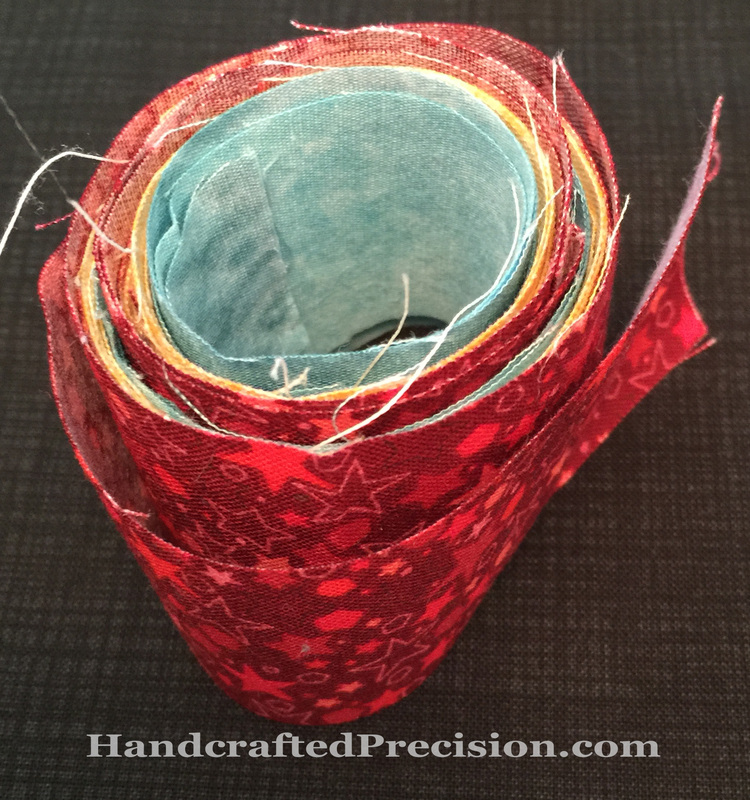 It all started with his fabric picks and here we are with a functional piece. It’s a tiny bit wonky, but it almost perfectly fits his night stand. I ended up just doing bar tacks at some of the brick intersections by hand. It’s not going to be washed much (as you can see from the first picture, he doesn’t like putting his water cups on it), so it should hold together just fine. No, he doesn’t really use the clock for anything. He claimed it from another room and now it’s his. 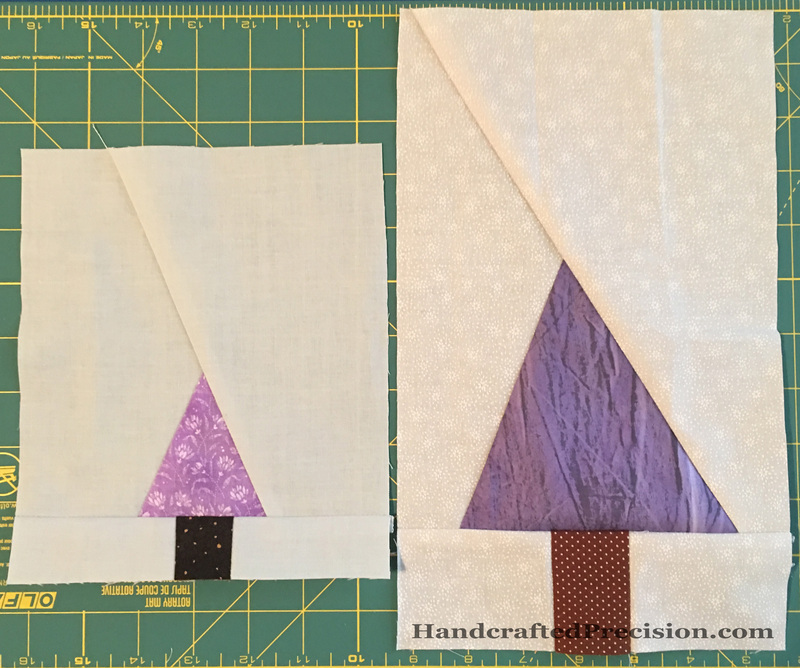 The bar tacks were partly because I couldn’t bear to drag out my sewing machine to do the quilting. I despair of ever being able to sew a consistent, straight line without a struggle. Good thing I like hand-sewing now, though burying the knots and ends of all of those bar tacks was no fun at all. I do like the back. 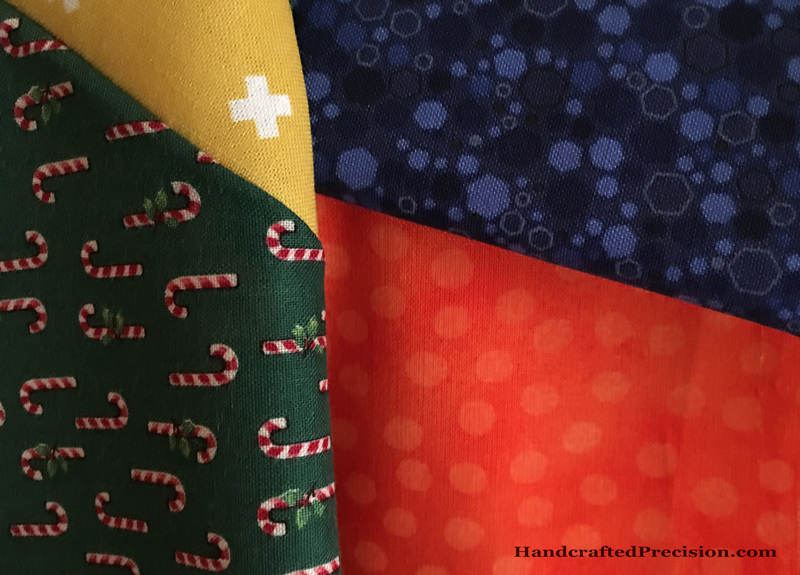 I don’t want to mess it up with a big ugly white label and I’m not sure I can easily match the red for a Spoonflower-printed label, so we’ll see. But it’s done and getting used, so YAY! Linking up with ALYoF’s January finish post, just in time. 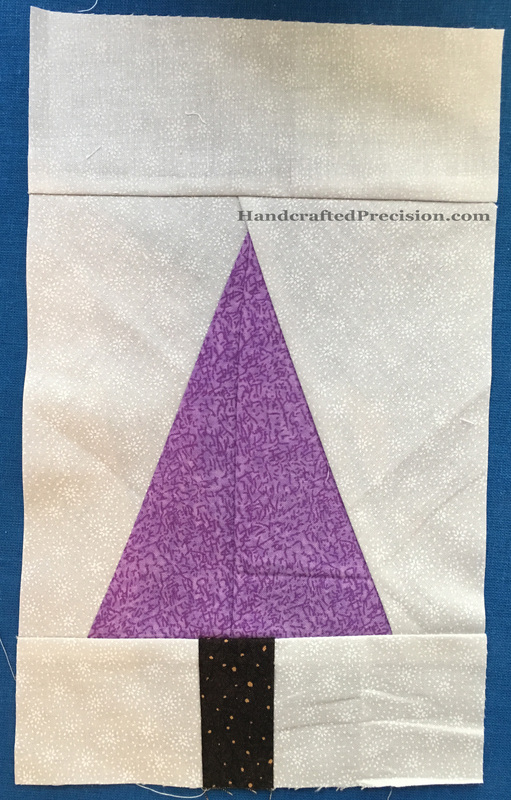 This entry was posted in Finish, Machine Piecing, Machine Sewing and tagged ALYoF, Berries with Lemon on January 31, 2015 by HP. I didn’t make as much progress on this nightstand topper for my son Sec as I would have liked, but some progress is better than none. 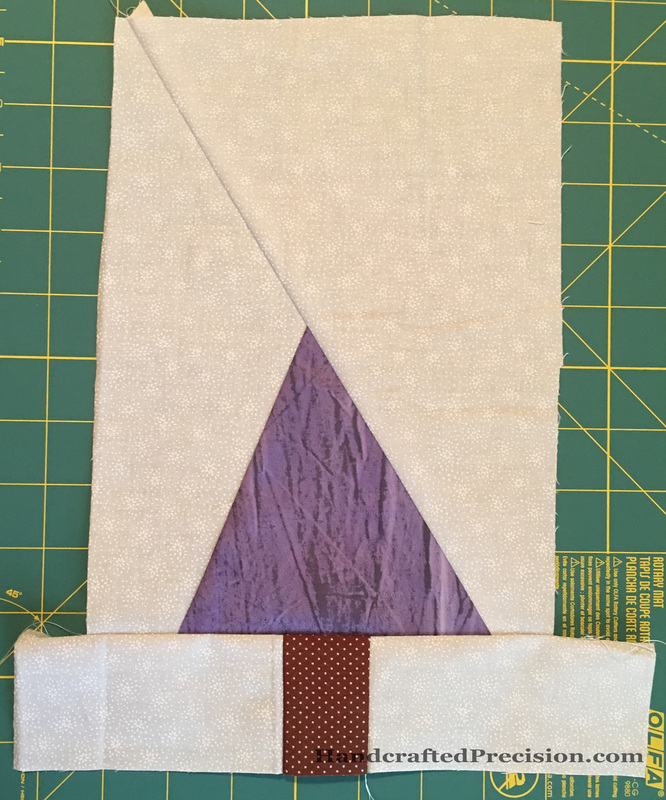 I got the binding sewn on the front. I really, really like the back. It’s much cooler than the front. No label yet. That’ll have to wait for my next Spoonflower order, so it might be some time. It’s not going anywhere and I’ve documented it here, so I’m not too worried. I actually made a bunch of mistakes with this project. 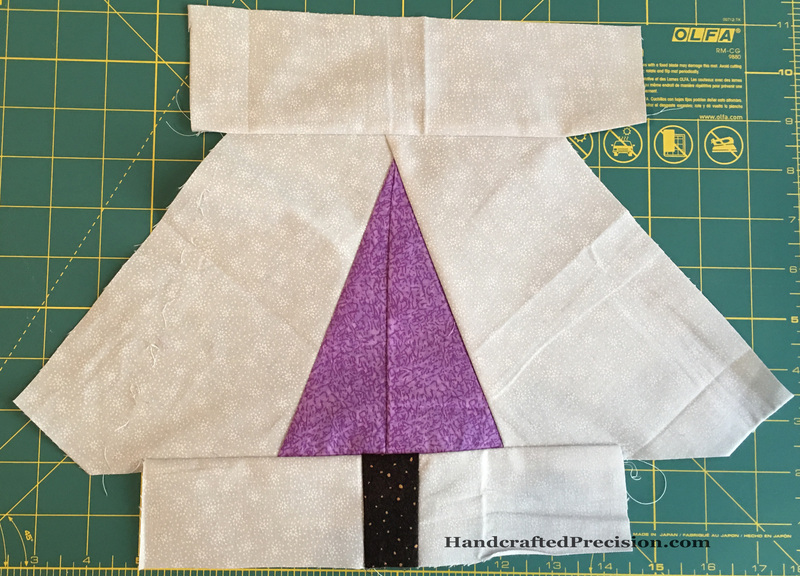 First, I didn’t make the backing significantly bigger than the front on all sides (there was some leeway on the long sides, but none on the short), so spray-basting it all together was a nightmare. 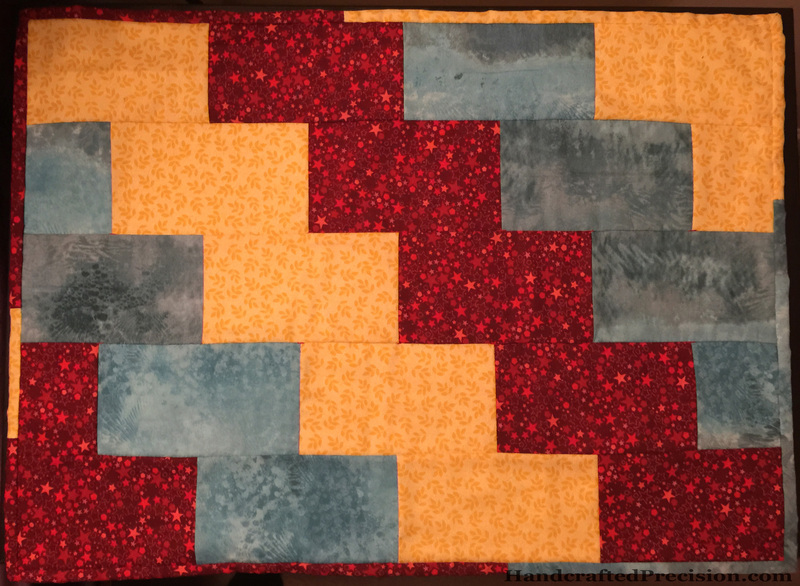 I was afraid that it would shift badly if I machine-quilted it, so I decided to hand quilt it, but I wanted to get the binding on while I had my machine out, so I did that. It’s a little project, so I think it’ll be fine. I think I’m only going to tack it all down at the corners of the squares. Warm and White says you only need to quilt every 10″ and I don’t think it’s going to be washed often, so it’s likely okay. 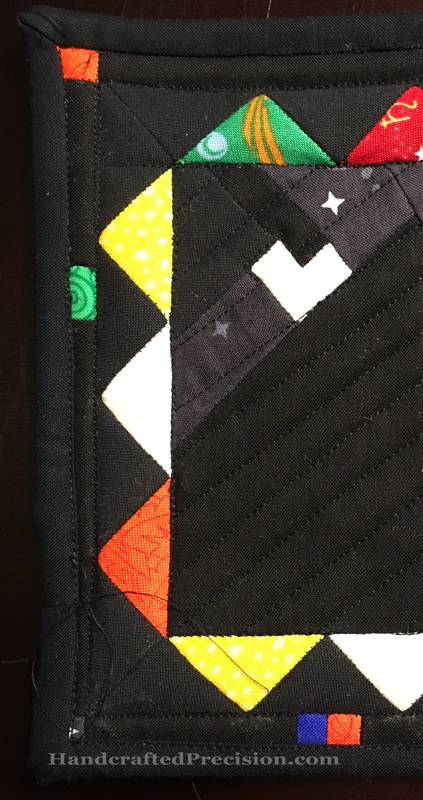 Second, you can see where my machine sewing failed when I was adding the binding. I sewed too narrow a seam allowance, so it wasn’t hard to fix, just annoying. I cut everything very carefully, had my (new) walking foot on, and went super-slow. 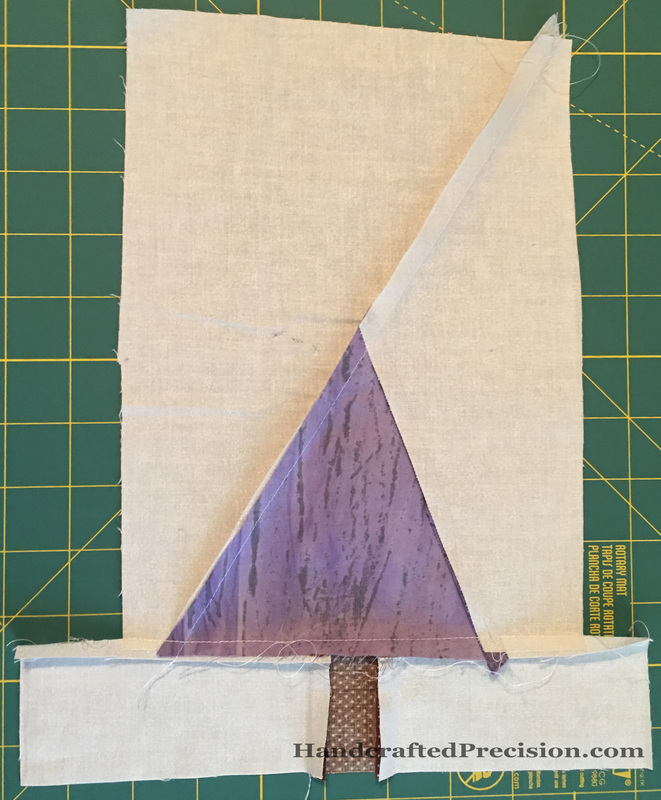 I’m beginning to think my 1/4″ seam allowance woes aren’t all me, but may be at least partially due to my machine. I’m going to have to try out a new machine at the quilt shop. 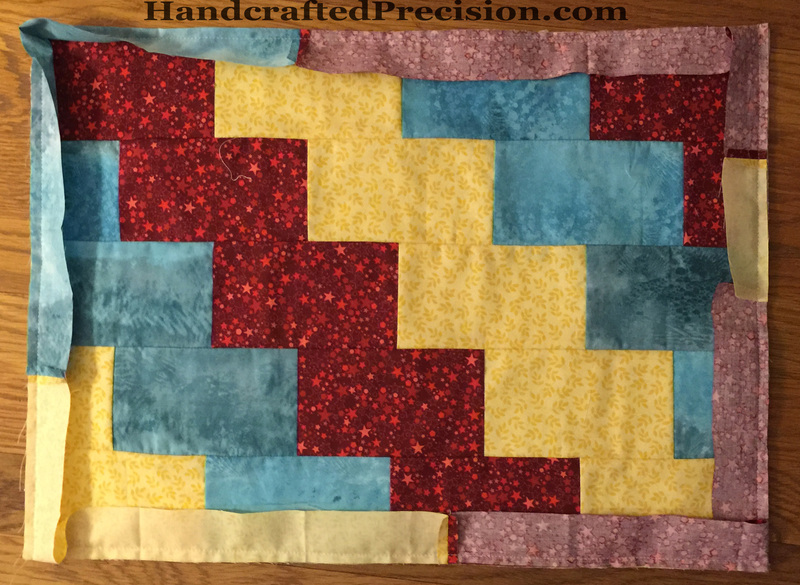 I realized that I’m having no fun at all doing the piecing because I dread the wonky seams. At this point, I’d rather hand-sew than drag out the machine. <sigh> I don’t want anything fancy, just a machine that feeds evenly. Yes, I just had it serviced. Argh. Well, I only have hand-sewing left on this one and then it’s a finish! This entry was posted in Machine Piecing, Oops and tagged ALYoF, Berries with Lemon on January 24, 2015 by HP. 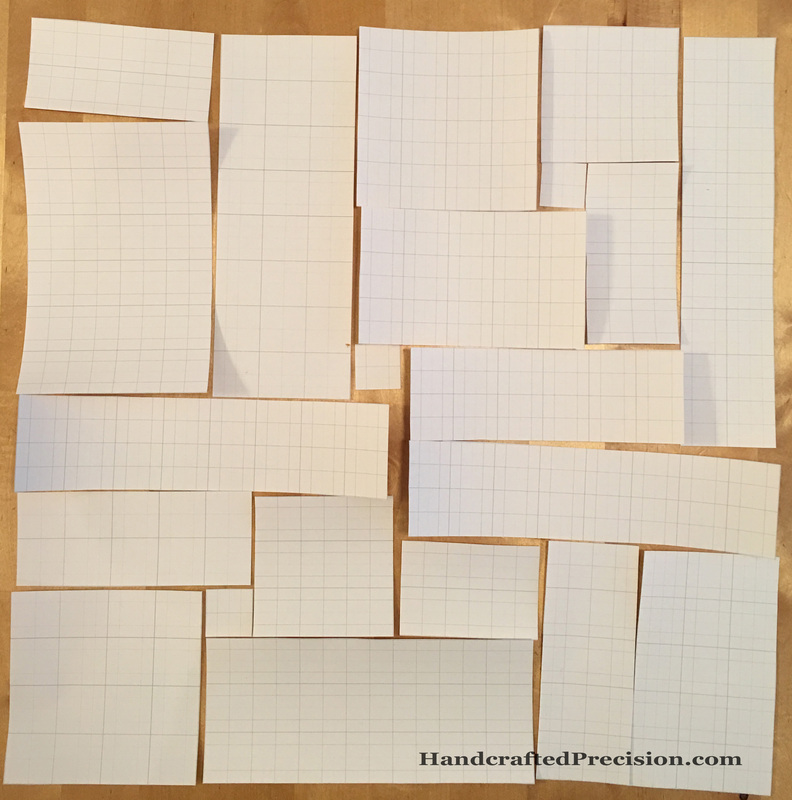 I’ve been agonizing too much about what I want to do for the Handstitched class quilt “Modern Medallion”–I’m going to call mine “Bold Tranquility” and I’ve tagged this post and the first with that name. 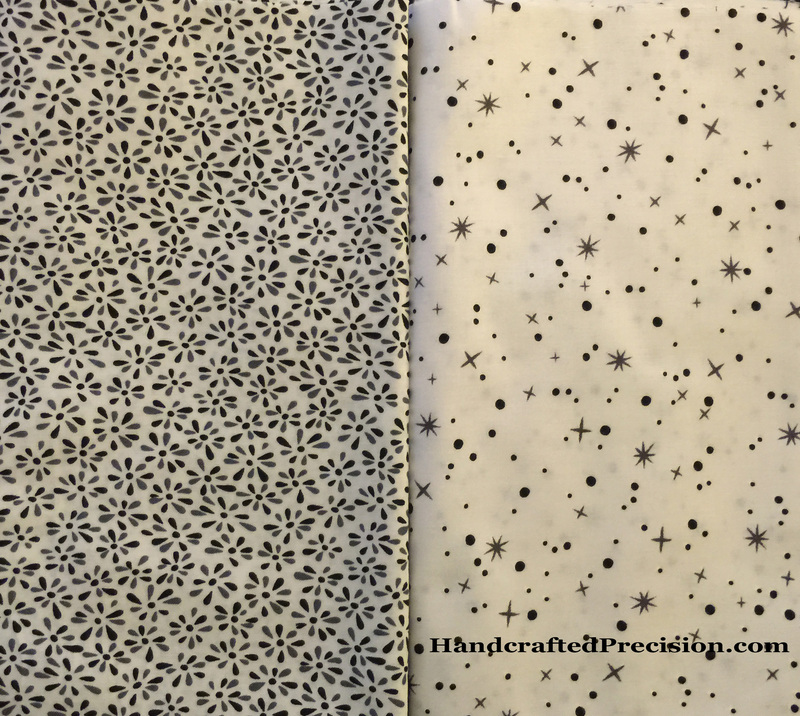 Even though I bought this third print, thinking to use it for the central dogwood blossom, I’ve decided not to use any prints at all, just fabric and pearl cotton for quilting in white, black, and a few greys. If I hate how it’s turning out, I can make it into table topper and try again with the prints. I got my freezer paper and my spray starch (and sizing, just in case). Tomorrow, I’ll iron and start cutting. I hope to do the hand sewing on the central dogwood blossom over the weekend, but I doubt I’ll be able to take my machine out for joining the next three rounds until Monday. 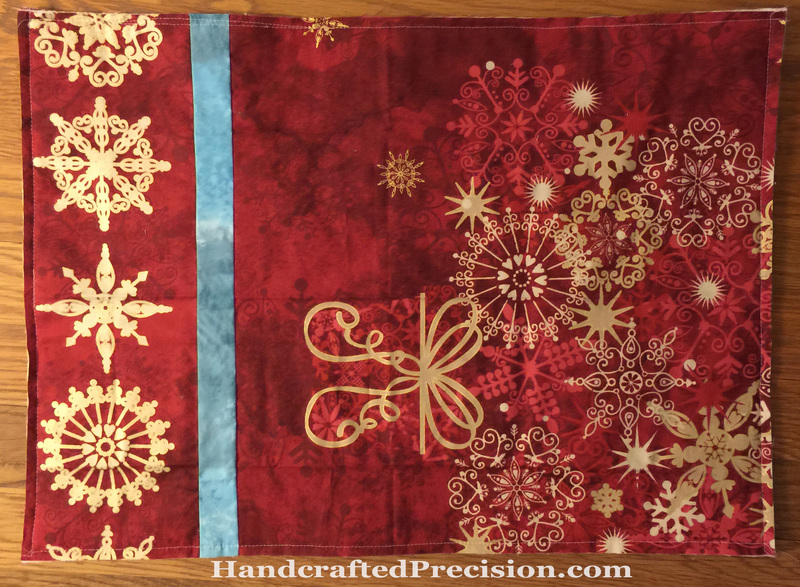 This entry was posted in Hand Sewing, Machine Piecing, Machine Sewing, Quilt and tagged Bold Tranquility, Handstitched Class on January 22, 2015 by HP. 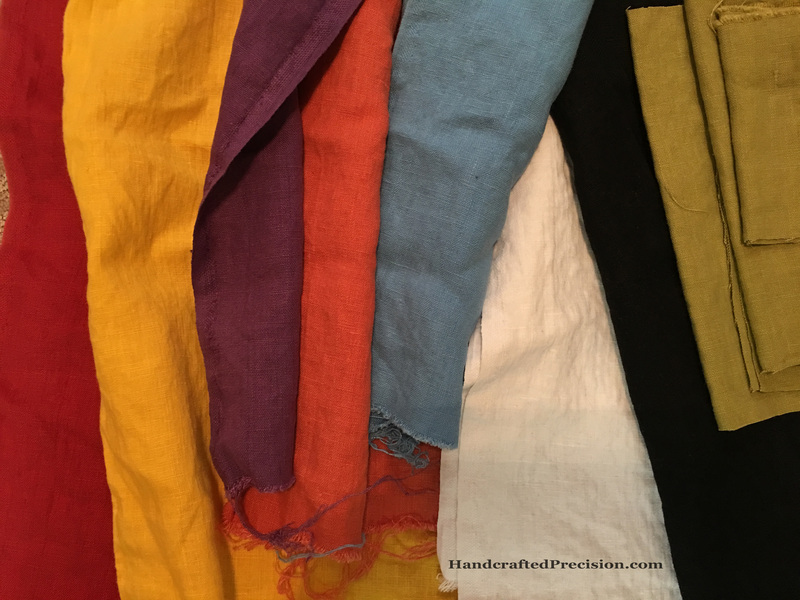 Starting tonight (and for the next nine weeks), I’m taking the Handstitched class by Rachel from Stitched in Color. 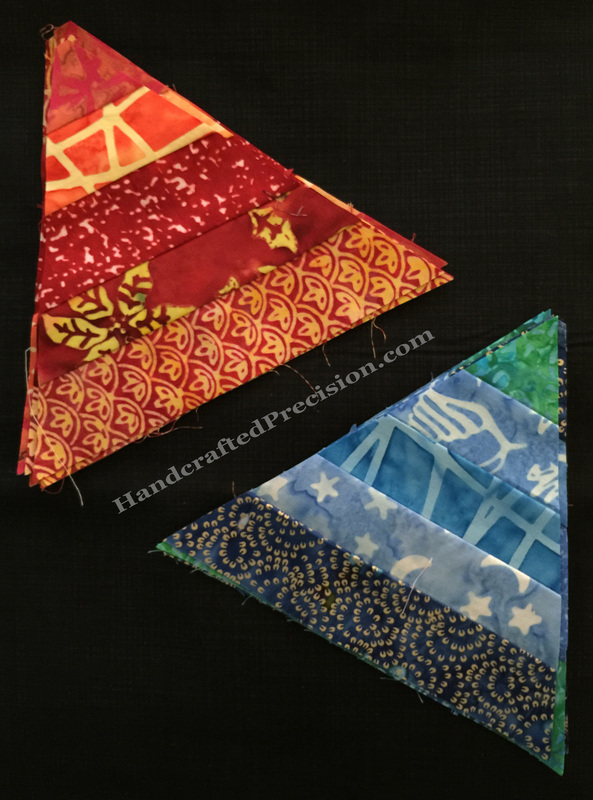 I’m really looking forward to it–especially making the hand stitched class quilt, Modern Medallion. Here, she features some students’ class projects. 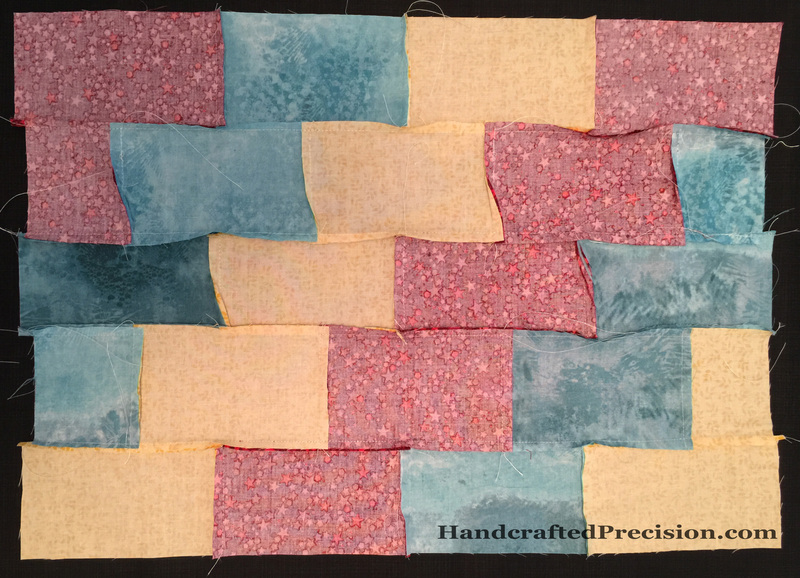 It’s nice to see all of the different colorways for the quilt. Look at this FABULOUS muted and slightly modified version by Happy Go Lizzie on Flickr. (Please excuse my laser focus on the quilt. It’s crept into my dreams). I’m going to do a black/white/grey version, though I still have some decisions to make, like “Should I use the left-hand print in the photo, the right-hand, or neither as my central dogwood blossom?” The prints are actually shades of grey and black on a white ground–my lighting was not so good. I was thinking about going with a white blossom and embroidering or hand-quilting in some detail and interest, but I really like these prints. 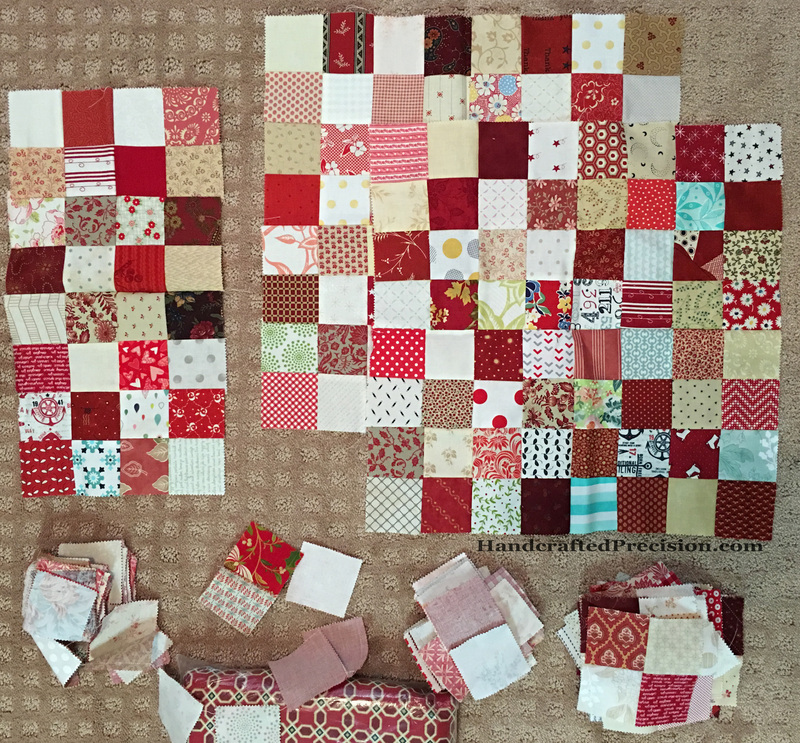 I might use the more open one (on the right) in the central blossom and both elsewhere (there are some little dogwood blossoms in a later round, and the print on the left could easily mix in with the various greys for the square patchwork section). Here the prints are in the same terrible light with the greys I got. They’re all sitting on black. I didn’t include the yards of black and white that I bought in the picture. I need some good natural light before I decide which of the greys I’m going to use. Some don’t look pure grey. 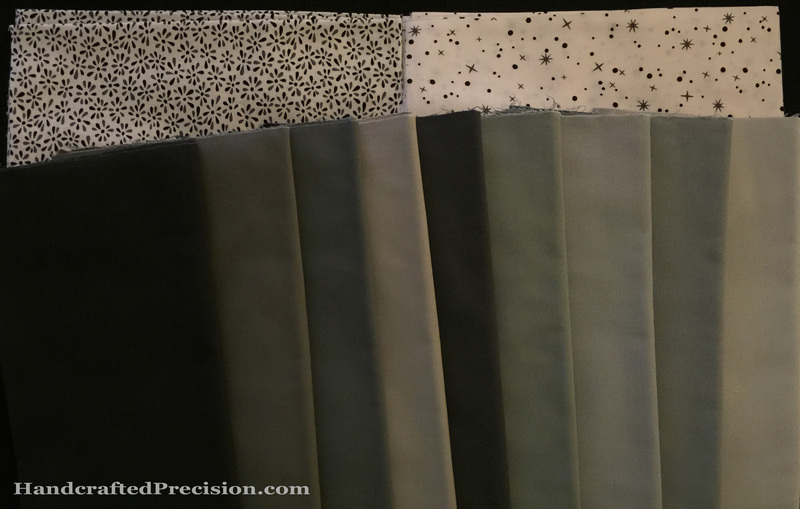 I love Fat Quarter Shop, but I wish they’d use stickers to label the individual cuts of fabric, to make it easy for me to identify which grey is which (the names are all fairly similar–different ways of saying “grey”). Your thoughts about the prints (vs white with embroidery) are welcome in the comments! 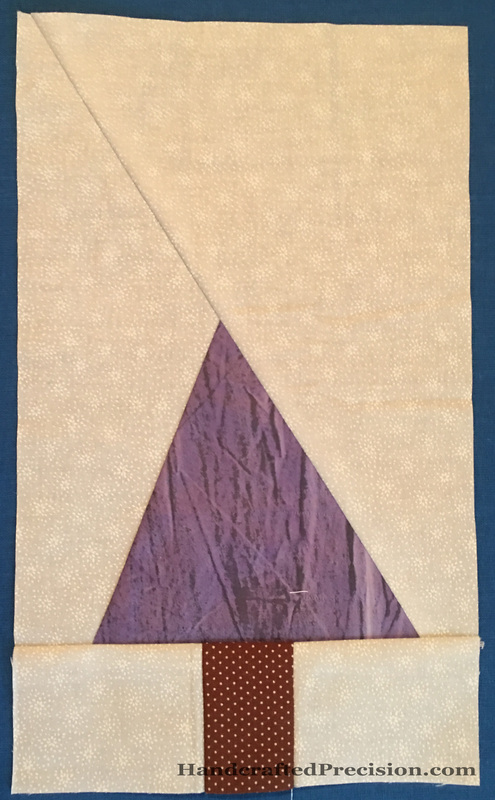 This entry was posted in Grey, Hand Sewing, Machine Sewing and tagged Bold Tranquility, Handstitched Class on January 19, 2015 by HP. “Berries with Lemon” Top is Done! Here’s the untrimmed top. The picture has some weird perspective issues. I mean, the top’s pretty wonky, but the photo has problems, too. And the back after pressing. 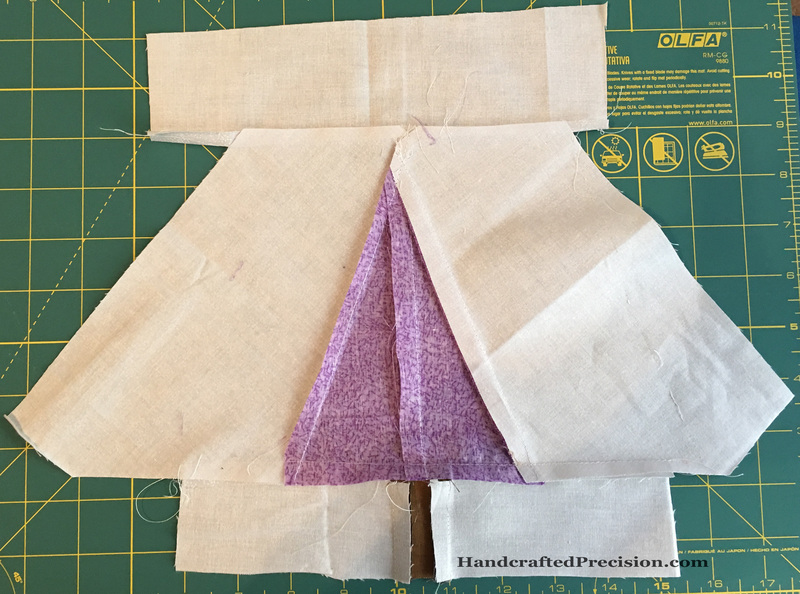 I could not get the seams to stay flat. This photo’s more true. I’m not sure how I’m going to quilt it. probably simply in the ditch. 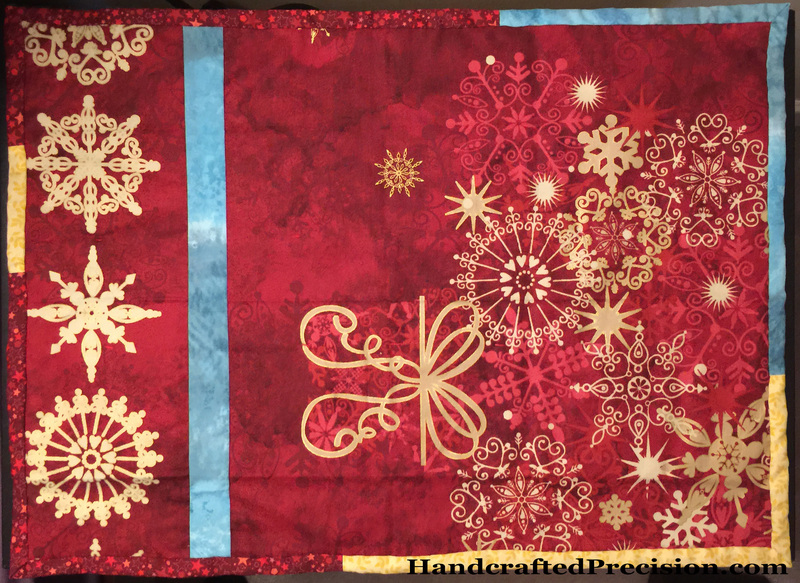 The back fabric has a big, red and gold all-over pattern, so I’ll match the thread to the red and hope for the best on the top. Speaking of the back: it’s just about an inch too narrow. 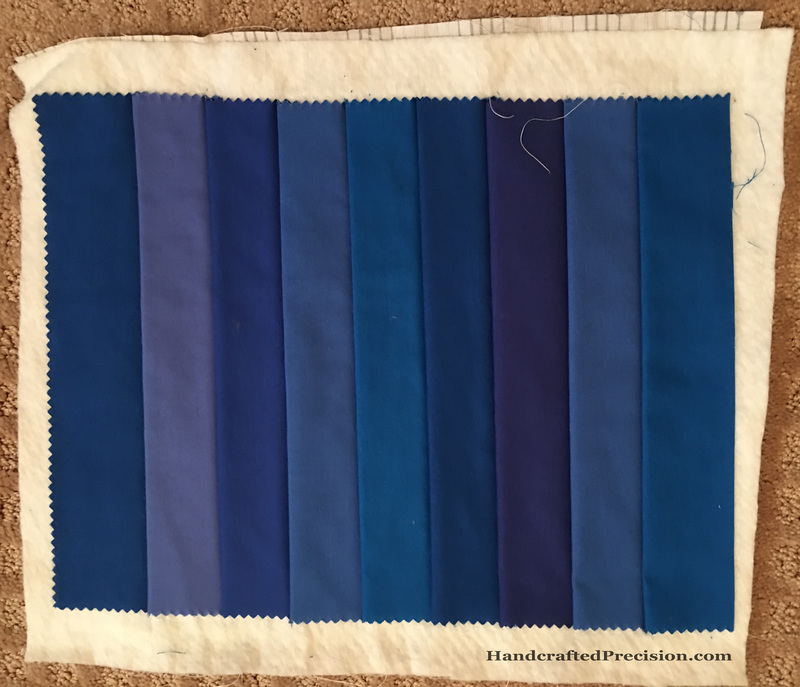 I made a little too much scrappy binding, so I’m going to add the last bit of the blue in the above photo to the back as a stripe. I think it’ll look good. I’m going to use Warm and White batting, since that’s what I have on hand. This entry was posted in Machine Piecing and tagged ALYoF, Berries with Lemon on January 17, 2015 by HP.